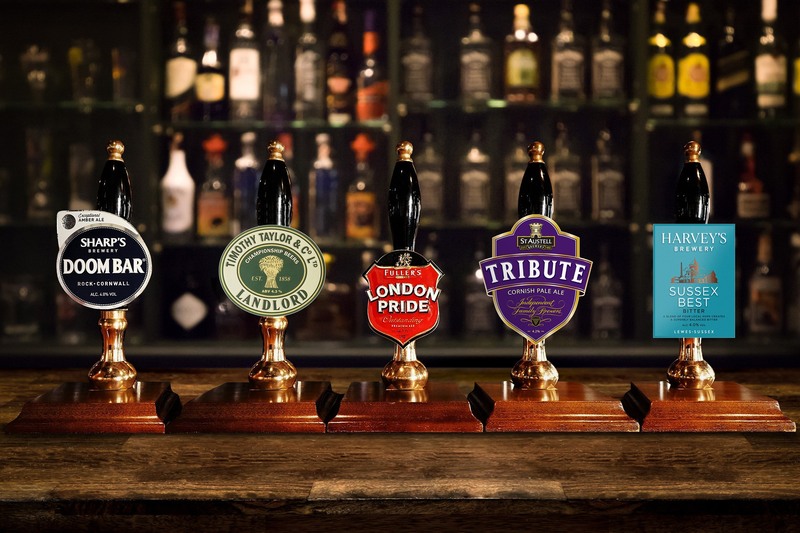 We offer a large selection of drinks at The Wheatsheaf. Blue Moon® Belgian White* was our first year-round release back in 1995. It started with our brewmaster, Keith Villa, wanting to craft a beer inspired by the flavorful Belgian. This classic ale adds a fruity aroma, set off by a dry malt middle, to ensure that the long hop finish is one you’ll remember. The drinkers' favourite, a 4.3% classic pale ale with a complex citrus and hoppy aroma. Traditional very Moorish organic cider. A brisk white wine with a dash of herbaceous grassland aromas and flavours that race across the palate stretching to a lively fresh finish. Good ruby colour intensity with generous ripe plum and spice on the nose. A silky smooth lush entry with pleasing soft ripe fruit flavours and well incorporated oak notes. House gin. Double offer available. Expect coconut and grapefruit flavours. Every aspect of the creation of grey goose is focused on crafting the world’s best-tasting vodka. It begins with the selection of the very best ingredients from France: soft winter wheat and gensac spring water. House scotch whisky. Double offer available. Jack Daniel’s is a brand of Tennessee whiskey and the top-selling American whiskey in the world.